Serve these babies with your favorite veggie or salad side and some chips! I love chips with sandwiches/burgers! Slice the white onion into half-moons. Place the beef roast into the base of the slow cooker and season with salt and pepper. Sprinkle pepperoncini (with juices) and the sliced onions around and on top of the beef roast. Sprinkle the Italian seasoning and garlic powder over the top. Set the slow cooker on low and cook for 8 hours. Once finished cooking, shred the beef with 2 forks and mix into the sauce. Season with salt and pepper to taste. Add the shredded beef, onions and pepperoncini to the buns. 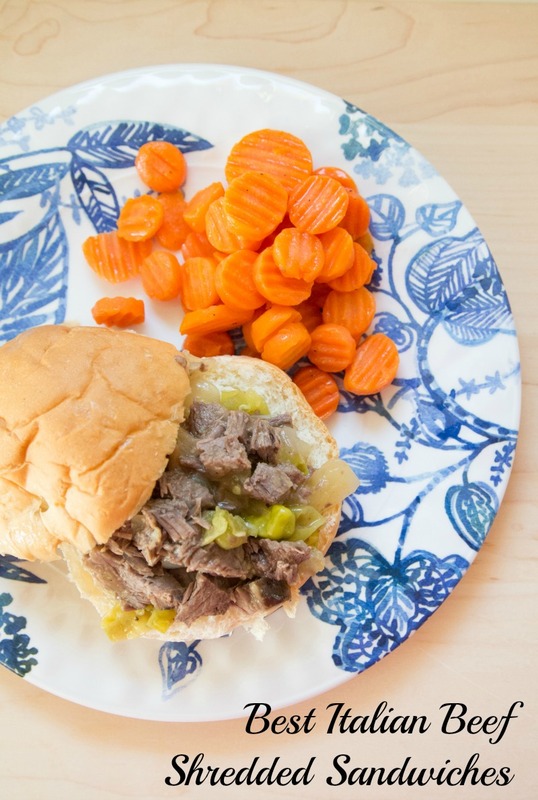 Serve Best Italian Beef Sandwiches with salad/veggies and chips. I made this for dinner last night and we really liked it. 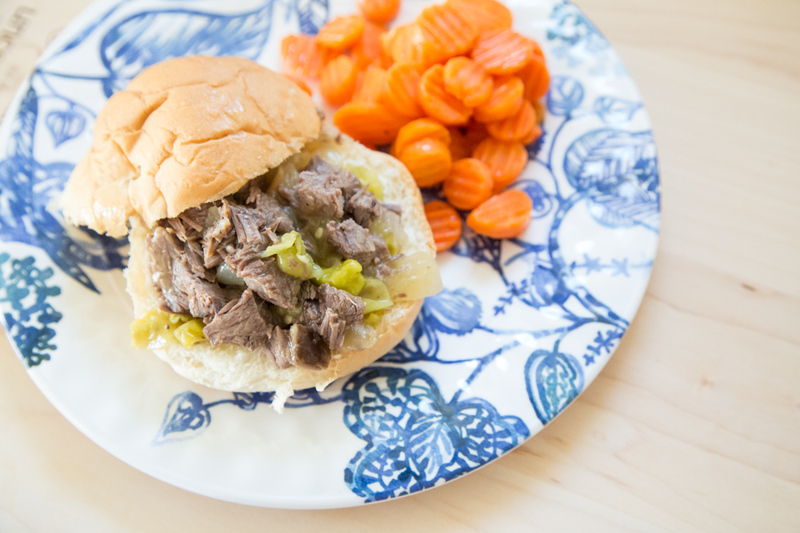 It has a nice zing to it and definitely was not boring as so many slow cooker beef recipes can be. I have two more meals to put in the freezer today and that’s an added plus!